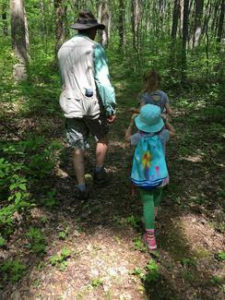 Children will have the opportunity to learn all about nature and foster their love of the great outdoors from Izaak Walton League members (IWLA) and experts. Classes include a nature hike with parents and an IWLA member, a corresponding activity and brown bag lunch (parents provide lunch for their child). Three Saturdays this fall: September 16, October 14 and 28 from 11-1 We will cover a new nature based topic and the first 10 kids to sign up get to join in on the fun!! Contact Mary Cook at maryevanscook@gmail.com and she will send you a link to Signup Genius and an invite to the Walton Wednesdays Facebook page. In this Facebook group, we can post pictures, updates and provide the latest information about upcoming classes. We will use Signup Genius to allow parents to sign their kids up each week, so we can keep track of attendance. We are only able to handle ten kids per class.